Patty Morales is one of the best Retail General Managers I’ve had the privilege of working with during my time at Starbucks and the Coffee Bean and Tea Leaf. I worked with over 4,000 Retail GM’s during my career. I know the great ones when I see them. Patty is a great one. Truer words were never spoken. EXACTLY how many times over the past week have you used these two powerful words with people on your team? If you don’t know – start paying attention. Set daily goals – then track how you do. Commit to make this an everyday habit – starting today and forever. Personal ownership, accountability and engagement – UP, UP, UP. Guest Service, customer retention and Performance – UP, UP and Away! BTW – Patty not only “talks the talk, she walks the Thank You talk” with the inspired team she leads. Under Patty’s leadership her store revenues have increased close to 40% over the past three years. Got your attention yet? So, how to best say THANK YOU. How about doing “IT” the “Patty Way”? Make “IT” warm and personal when possible. A handwritten personal note let’s people know you really care. MY TAKE: Don’t underestimate the power of saying THANK YOU. A recent survey estimated that only 10% of adults say “thank you” to a colleague everyday and less than five of every ten customers are thanked for their business. If you want to develop and retain an engaged team commit to becoming a THANK YOU LEADER. If you aspire to separate yourself from the pack – create a THANK YOU CULTURE. If you want your customers to know you appreciate their loyalty than commit to THANKING YOUR TEAM – I have no doubt they will “pay it forward” to your customers. Happy and motivated employees enjoy serving their customers. Finally, THANK YOU Patty for being a role model for others and reminding us that the SMALL THINGS we choose to do, like saying THANK YOU, are really the BIG THINGS that great leaders do. This article really speaks the truth. Thank you not only tells someone that they are appreciated, but in turn makes them want to do better as well. 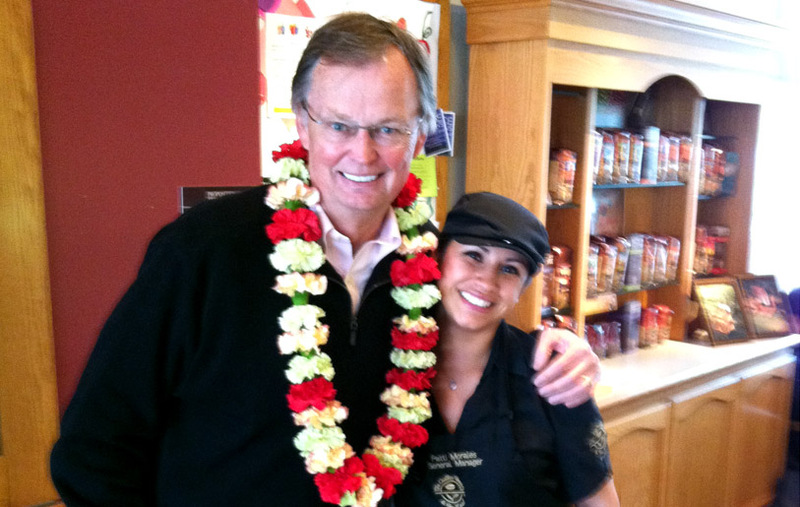 When managing my Starbucks in Westlake, CA this was crucial to my partners, and the customers. My customers felt taken for granted before I took the store over. Giving them great service was a big thank you, but nothing can replace the words and actions. Those last in their memory. AJ – thanks for extending the reach of the power of THANK YOU to include our customers. You were a role model of this. Customers are people too. The best way to reward them is with service that says thank you AND with these two simple words.